Westford Lifestyle Community is a 400+ acre master planned community being developed by CTW Development Corporation with commitment to meticulous planning, environmental stewardship, integrity and attention to detail. 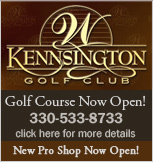 Kennsington Golf Club, our 18-hole semi-private golf course was designed by award-winning golf course architect Brian Huntley, and is nestled around single-family homes and villa homes on beautiful treed lots with golf course and lake views. Underground utilities, sprinkler systems on all lots, upscale street lighting and signage and sidewalks on many of the lots are evidence of the care put into the design of Westford Lifestyle Community. There are 7 miles of continuous golf cart paths, some of which will be lit for walking and enjoying after hours. Nearby is Westford Commons featuring a unique shopping experience, entertainment and fine dining. A major hotel is in the plans, including a multi purpose conference center. Also in the community will be a high-end assisted living facility, as well as existing and future professional suites and offices.